Daily we read of longer and longer range Electric vehicles. The impending release of the large 5 seat Tesla ‘S’ sedan, with a range capacity of over 500 klms and 12 minute fast charge capacity appears set to ensure the internal combustion engine obsolete!. Nearly every major auto-manufacturer is racing to produce some form of EV. Given the level of concern over global warming, carbon taxes, oil depletion, and increases in the price of gasoline, the future of EV transport, never looked brighter! Yesterday, after driving over 1080 klm to reach a small and remote Australian outback town, I stopped to refuel my Lexus GS450h, (premium fuel at $Aus1.58 litre), at the local Shell service station. As I paid for the gasoline, and some other small items, I reflected on the important economic and social contribution the owner of the service station/mechanical repair business, (and his five employees), made to the life of this small community. The adoption of long range EV’s would see this service station, and its repair/small engineering business extinct. Just one more nail in the coffin of the viability of a small rural community. As a long term advocate and investor in EV technology, I can’t help feeling responsible for contributing to the demise of these struggling rural communities, and accelerating the drift to the cities. Later that evening, I read an article by Virent Energy Systems Inc, and Royal Dutch Shell Oil Ltd, concerning the development of a potentially revolutionary bio-fuel. This fuel could potentially replace oil based petroleum with a renewable, non pollutant fuel. This fuel can be produced by utilising existing oil industry infrastructure, from the refinery to the pump! Shell estimates production costs could be as low as $60 a barrel. Fuel certification testing has established that no modifications are necessary to make existing vehicles compatible with the new fuel. The testing proved use of the new fuel caused no harm to even older vehicles. In general, Bio-fuels production has been beset with problems relating to the difficulties of agricultural requirements to provide feedstock. Without massive taxpayer subsidies, bio-fuels have proved uneconomic. As a result, Bio-fuel has fallen out of favour in many countries. In contrast, rapid developments in EV technology has resulted in billions of dollars in investment pouring into producing vehicles such as the Nissan Leaf, Tesla, and GM’s Volt etc. The EV seems to answer all the important environmental answers, with the bonus of an almost maintenance free vehicle. It’s true that the ‘long tail pipe’ argument is deployed by naysayers, but despite the source of electricity, the EV is still preferable to gasoline. However, if Virent/Shell’s new zero-pollution, economic fuel becomes a reality, would anyone bother to continue mass producing EV’s? Has the EV, enjoyed its brief moment in the sun? Virent/Shell’s development could be the most important discovery of the twenty-first century. The Virent process can be used to fuel all forms of transport, replacing diesel, aviation fuel, kerosene, petrol etc. Virent/Shell believes economic sustainable mass production of bio-fuel feedstock is possible . Looks like we have a new shill here. I wont go so far as to say the EV industry is done quite yet. I think there are still too many variables to call any one form of propulsion obsolete or irrelevant yet. Sort of the old VHS vs. BETA days, no one standard answer has become acceptable to the masses yet. Many solutions that call for massive infrastructure change will meet resistance when it calls for tax dollars to be implemented. Change the roads? thats a lot of change! One must not exclude maintaining the road surfaces as well. What will happen when pirates steal embedded gear for scrap profits? On the other hand, with EV's, Sustainability has to encompass sustainability of recycling spent batteries that wont take a charge. Can This be handled Cost effectively? Will agricultural industries be divided human food against biofuel resources? Really? Goodness me, how long did it take you to think of such an in-depth comment? Will agricultural industries be divided human food against biofuel resources? That's the fly in the ointment with all bio-fuels. I was an early biodiesel advocate. But after careful economic due diligence, I became convinced that for most nations, bio-fuel production wasn't economically feasible. This opinion has been vindicated by the demise the bio-fuel industry, once taxpayer subsidies are removed. There are nations, like Brazil, where bio-fuels can become economic due to unique agricultural circumstance. The greatest challenge to the twenty-first century will be the end of the 'Age of Oil'. The new challenge is developing realistic replacements for fossil fuels. In transport three main contenders emerge. Ev's possess enormous advantages over the other two in having most of the technology and infrastructure existing in mature state. The only drawback is energy storage. Batteries don't yet possess the capacity to equal or better ICE vehicles.Compromises like the GM Volt helps close the gap. 3) Shell, and Cargill are correct about the economies of scale in producing non-edible bio-feedstock in areas not sufficiently arable for conventional food production. The production of such an agricultural product is logistically possible. Sterile, bio-genetically engineered flora, can produce feedstock on an industrial scale. Probably the only companies in world that posses the scale of investment, and organisational ability, to accomplish such a gigantic feat, are major oil companies. If these dynamics are correct, then EV's will quickly become bereft of public support, and investment. At $2.00 a gallon, for non pollutant, renewable fuel, would this forum ever have existed? Like most people on this forum, I have a love of EV's. I have built Ev conversions. I drive a very sophisticated production EV, and I have invested millions of dollars building EV business. I also hold stock on several EV companies. But, if Virent Shell and Cargil are right, the Virent/Shell approach has won the race. The economic and moral advantage lies with them! Almost as long as it took you to conclude that an untested process from an already tainted industry known for bullsh*t PR will magically supplant the EV. If you had titled it something like 'Interesting fuel in development phase' I'd have taken you more seriously - at least if I hadn't read another anti-EV post from you first, and if you hadn't put in the part about poor service station owners being put out of business. (The oil companies themselves have put more of the family-run stations out of business than are left on Earth.) Maybe you do really like EVs, but just get swept up by every press release you read. In that case I withdraw the "shill" label. Perhaps "Rube" would be better...? Zero pollution? Really?? I can see that it might be carbon-neutral. But that's a far cry from "pollution free". What about all the other types of pollutants associated with burning stuff in a 25% efficient furnace (that also happens to produce some useful kinetic energy)? I think EV's still have a place because they're more convenient and less expensive to use and own than internal combustion equivalents. And when you look at the usage pattern of the personal transport fleet I'd say EV's will have more units on the road than bio-diesels. Bio-diesels may have more miles though. That'd be an interesting break down of the numbers. Perhaps "Rube" would be better...? Well, let's see "Rube", hmmm...have spent nearly 15 successful years in the EV industry, including substantial investments, (including building EV's). I suppose I might be considered a "Rube". Apart for your evident hatred of Oil companies and Capitalism, do you actually have any constructive to say? This forum probably wouldn't exist, and EV's would still be oddities tinkered with by hobbyists, if 20years ago Virent had developed a non-pollutant, transport fuel costing less than $2.00 a gallon! The economic effects on peoples lives in small communities, may mean nothing to you, but they do to those affected. I care about the affect of change on those small forgotten stakeholders who may not rant, but whose quality of life is always forgotten by loudmouthed fools spouting leftist dogma. The team at Virent are serious scientists, not PR flakes! Among numerous awards,Virent received the prestigious Presidential Green Chemistry Challenge Award from the U.S. Environmental Protection Agency and been recognised by the World Economic Forum as a leading Technology Pioneer. Virent's investors include Cargill, Shell, and Honda. These are serious investors. Virent began with grants from the D.O.E, EPA etc.. Honda introduced Shell to Virent. Shell were interested and donated the use of an idled refinery. After testing the viability of the product, Shell became Virent's main collaborator. Virent is also contracted to conduct research for the US government. I don't know if Cargill can really produce the logistical guarantee of suitable feedstock. Shell have had the fuel certified, and accepted by more than 18 major automakers as not affecting their warranty conditions. Shell/ Cargill have indicated a second stage commitment of $2.5 billion to initiate a pilot scheme. If the pilot is successful, Shell/Cargill will move to a Third stage of commercialisation, capitalising with an initial injection of $80 billion. Shell's investment strategies are not that hard to workout, since Shell is a public company. Cargill stock is largely privately held, as a result Cargill is notoriously secretive. However, Cargill is a very serious investor, backed by the resources of some very shrewd and influential bankers. If anyone can achieve the enormous logistical problems involved in the supply of feedstock on an industrial scale, it's these guys. Virent have made some serious alliances. Now, Gee! All that sounds serious to me! I have no connection to Virent. (I wish I had been in on the first round of investors). But then, hey, what would I know? I'm just a "Rube"! $60/barrel is "low" by todays consideration of "normal price for oil" but it's "high" compared to what used to be the normal price for oil (in the $30/barrel or less range). Right? In any case - as you point out in your discussion there's a competition between land, food, and energy demand when you talk about biofuels. Biofuels are a way of capturing sunlight, converting it to energy that can be used to power machines. Fossil fuels were a savings account of sunlight captured by plants and animals millions of years ago. Our modern society has been living on that savings account for the nearly 200 years of the fossil fuel age, and that savings account has let us build up an amazing population explosion and big cities and world straddling transportation infrastructure and more. But as fossil fuels become expensive/difficult to tap we won't be able to live on the savings account any longer, eh? What's the most efficient method of capturing sunlight into usable energy forms? And can the biological system of the planet be changed so it produces enough biological matter to both feed us and fuel our vehicles? Probably not. Also -- part of what you write about is the embedded value of the existing built infrastructure. The existing oil refineries and oil pipelines and gasoline stations etc ... that has an embedded value. So, too, does the electricity grid have an embedded value. One reason the hydrogen economy (fuel cell vehicles etc) has a big hurdle against taking off is that it cannot reuse any of the existing built infrastructure, and would require a whole new infrastructure. EV's however can reuse the existing electricity infrastructure with a few modifications at the edge of the infrastructure ...? The thing about existing built infrastructure is that it has to be replaced as it wears out. That moment of replacing part of the infrastructure is an opportunity to do piece-by-piece infrastructure upgrading, isn't it? For example - the nuclear plants built in the 1970's were supposed to have a 40 year lifespan, which is now up, meaning that in theory we can ditch that nuke plant design and replace them with something better that won't blow up. You miss the point! Virent's process may be a Bio-fuel, but it's not bio-diesel. It's Bio-gasoline! That's the point. It has the same calorific yield as premium gasoline, and you can fill a current production ICE car without any modifications. Where is the EV's advantage? Ok, slightly cheaper to operate, say 12-15%. What else? Savings of say, $1000 pa maximum. Disadvantages? $15,000-$25000 extra purchase price. EV is slower, maximum speed, say 70 mph.Inconvient.Range, maximum 120 miles.Recharging problems.Inefficient energy storage system. Environmentally dubious (long tail pipe) Needs expensive infrastructure. Who, apart from a very few enthusiasts, will buy an EV and wait 20 years to recoup the price difference? Be honest, would Nissan/Renault have produced the Leaf, if this fuel was available? Would you bother, if fuel was $2.00 a gallon, renewable, and environmentally friendly? My reservations do not concern the viability of the Fuel, or Shell's ability to commercialise the fuel. I think the best hope for the EV is Cargill's role. Bio-fuels have always failed due to the difficulties of maintaining feedstock on an industrial, not agricultural scale. This is the product's Achilles heel. It's also an area for vast wealth to be created, so Cargill's motivation is obvious. The cost of feedstock, must be produced at less than $30 a barrel. Elon Musk's is yet to express an opinion, but Honda and Hyundai are re-evaluating EV investment. LG, and the rest of the battery manufacturers, must be profoundly concerned. $60/barrel is "low" by todays consideration of "normal price for oil" but it's "high" compared to what used to be the normal price for oil (in the $30/barrel or less range).Right?In other words, this technology you name is one of the many technologies that only become viable with rising oil prices. Why would oil prices be rising? Is it because of that peak oil phenomena that you dismiss? (peak oil as in - supply of fossil oil resources is more-or-less at the halfway point, and all the cheap/easy fossil oil has been tapped, and the remaining fossil oil is expensive/difficult to tap. I have never dismissed oil depletion! The 'Golden Age of OIL', is drawing to a close. Perhaps as rapidly as some hysterical doomsday sayers insist, but the time for burning oil reserves for fuel is past. Oil is far too valuable a commodity to be wasted as fuel. In any case - as you point out in your discussion there's a competition between land, food, and energy demand when you talk about bio-fuels. That's the Achilles heels. Feedstock logistics. If Cargill can solve that problem, that will be the key. Can the biological system of the planet be changed so it produces enough biological matter to both feed us and fuel our vehicles? Probably not. I wouldn't be so sure! It wouldn't surprise me if Cargill hasn't perfected a genetically engineered (but sterile) plant that can grow in otherwise non-arable conditions. Such flora do exist experimentaly. The scale of investment is daunting, but so too are the profits. part of what you write about is the embedded value of the existing built infrastructure. The existing oil refineries and oil pipelines and gasoline stations etc ... that has an embedded value. So, too, does the electricity grid have an embedded value. One reason the hydrogen economy (fuel cell vehicles etc) has a big hurdle against taking off is that it cannot reuse any of the existing built infrastructure, and would require a whole new infrastructure. EV's however can reuse the existing electricity infrastructure with a few modifications at the edge of the infrastructure ...?. Exactly, which is why the Virent Fuel production system is so attractive to Shell, it uses existing refining and distribution infrastructure. (But without all that expensive oil pollution overhead). We appear to be in furious agreement! I agree that feedstock is the key. Cargill's bankers believe they have a verafiable model, providing feedstock at under $20 per barrel. In addition, production dynamics are on a industrial, not agricultural scale. If it were anyone else, I would be dubious. However, we are talking about, Honda, Shell and Cargill! These organisations are not given to flights of fancy! They also have the money, logistical, political, expertise to accomplish such a gigantic task. The fact that no one is spruiking for investment, means one of two things, it's got some deep flaws, or it's too good to share. Shell and Cargill don't need investors, they've both got vast reserves of investment cash. The question is, who would buy an EV for twice the price, if renewable,zero pollution, fuel was two bucks a gallon? You still haven't addressed the point about pollutants. You're using a spark-ignition system to burn a complex hydrocarbon. You'll produce lots of nasty stuff when you do that. You'll still have smog over LA when you do that. You'll still have a higher incidence of respiratory diseases in LA when you do that. 1. Cleaner at point of use (truly zero emissions at point of use). 1. Cost will come down. Any new technology starts expensive (including the ICE) and comes down in cost (as it did with the Model T). 3. Inconvenient how? Less servicing, ability to recharge at home or at work are convenience features. 5. What recharging problems? Usage patterns for most personal transportation vehicles leave them idle overnight - charge them then. The grid also has capacity at that point. 6. Inefficient energy storage? Hmmm, not sure I agree. Yes, a gallon of gas holds about 3kWh of energy. However, an ICE is about 30% efficient. So, weight for weight gas is "more efficient". However, as far as using the energy electric vehicles are "more efficient". 7. Environmentally dubious? Hmmm, we both agree that there are cleaner ways to generate electricity (we disagree on which might be best). But generation is trending cleaner - and every improvement in generation is immediately available to the EV fleet. 8. Needs expensive infrastructure? That goes back to "unlimited range" - 'lectric for local, diesel for distance. I agree that no existing ICE manufacturer would choose to produce an EV. They're heavily invested in the status quo. They and their dealers make money on the total cost of ownership. They have no economic imperative to make an EV if there's a reliable, cheap fuel source. And on that we most definitely agree!!! I think the debate between electric and biofuel, and the danger of rural garages and fuel stations going out of business are both non-issues. Electric vehicle will never be practical in thinly populated rural areas, so the guy with the gas station in the Australian outback's livelihood is secure. I hope, before long he is selling bio fuel though. Since EV's will largely be practical for urban areas, the real debate is between EV's and (also largely electric) public transit combined with walkable urban spaces. I myself would have never have entered this long, strange trip into electric motor scooter land if my job (and soon after, home) had remained in the city (or we hadn't suffered deep cuts in public transit service due to Republican politicians). 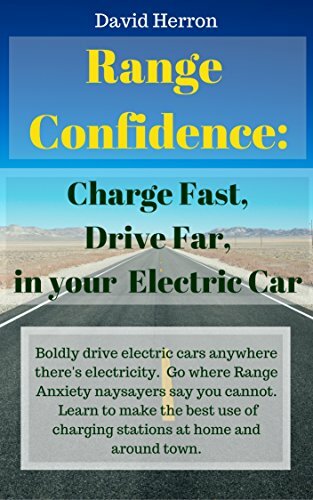 The bus or walking got me to most places local, and the small pickup truck got me on occasional weekend trips to the hang gliding ridges or hiking, where an EV is never going to be practical anyway. And anyone who says cars will always be preferred form of local transportation because people prefer sprawling suburbs needs to spend sometime researching where younger people are choosing to live these days. All the 14 odd nephews and nieces of mine who are young adults have all left the familiar suburbs they were brought up on and moved to the city - DC, Richmond, New York (Queens), Boston. You still haven't addressed the point about pollutants.You'll still have smog over LA when you do that. You'll still have a higher incidence of respiratory diseases in LA when you do that.You'll produce lots of nasty stuff when you do that. John, you are correct. I haven't addressed the the issue because I lack the scientific knowledge at this stage to answer. My only reply is, Virent state their product doesn't create pollution and fully complies with the Californian Clean Air Act. I think, given the reputation of the Scientists involved, that statement should be accepted. (until evidence to the contrary). As to your personal preferences. Yes, like you, I have been excited by the Nissan Leaf, iMev, Blade, Ion, Volt, Tesla 'S' Fisker etc. However, I am talking the survival of an industry. not individual preferences.Anecdotal evidence is not valid. I think you have summed up my position right there! If Cargill can provide the feedstock, Virent/Shell's new fuel, major manufacturers, will cease EV investment. Governments will withdraw EV incentives. No major manufacturer will produce EV's. Without volume, mass production the battery industry will cease to invest, and EV battery progress virtually cease. The EV will, once again, become just too expensive to compete. Be honest, John. Where would you recommend your parent's superannuation fund invest your parent retirement livelihood income? With, Shell/Honda/Cargill,and a highly profitable, mass acceptance, product, or Apterea?! (perhaps that not fair, Tesla is a better example). Joe Public likes the Status Quo, Governments love the Status Quo, Investors and the Capital Markets like the Status Quo! Even the EV major allies, the environment lobby and alternate energy providers, couldn't fail to support such a popular product! Conservatives will support the new fuel because it's practical and familiar, the Centre-Left will embrace it for social and employment/union reasons,(and beat off the challenge from Green-left-radicals, for traditional left voters). Yesterday, I discussed the Virent with the director of a smallish, but aggressive hedge fund. (only $22 billion)This VC fund has financed several EV related products, but would not continue to invest with a competitor like Virent/Shell/Honda/Cargill. (Like me, they see the product's weakness as feedstock supply). No Investment, no EV industry! (There will still be EV hobbyists, specialist EV applications, small bespoke converters and even manufacturers of scooters and golf carts etc.. But no cars, buses, trucks, aircraft). Virent/Shell/ Honda are halfway to success! They have a viable, more than competitive product. The question is, even with all their resources, can Cargill produce feedstock on an industrial scale? As an Australian this new fuel has great attraction. Nations with vast amounts of marginal land will be targeted by Cargill for investment. The US would once again become energy self sufficient. So would the PRC. Perhaps this fuels greatest benefit, is production of a cheap replacement for bunker oil. The planets greatest, and most deadly form of Global pollution. As I said to John, there will still be a small market for specialist EV applications. Scooters etc. I was using the Gas station owner, as an example of the disruption that would be created by the withdrawal of the ICE and petroleum business from the economy. The crazy left have got so committed to hating oil companies and the auto-industry, they have lost sight of the original objective. This product may permit all the benefits of the existing system to remain, while removing most of the harmful. It may create a profit incentive to stop desertification, increase employment in vast new industries, create new wealth with better redistribution. It will certainly, effectively, reduce the most toxic of pollution and AGW. The Green-left will hate such a development because it will ensure the survival of a peaceful, free enterprise economy. There will be no 'heroic' revolution, no Utopia, no re-organisation of society along socialist lines (with the Green-left in charge). Capitalist technology will have triumphed! EV obsolete? Sorry that genie is already out of the bottle. But I do wish Shell the best of luck, as long as they keep their grimmy fingers off new battery technology. I wonder where the EV market would be today if the oil industry hadn't stepped in the way. Sad - how back in the 90's, (iirc) Ovonics developed a new Ni-mH battery that in field tests gave GM's EV1 a range of 150 miles. Well our oil industry masters could have none of that; what a viable EV? So they pressured GM to not install the new batteries, crush the cars, and soon Texaco/Chevron became the controllers of those nasty new battery patents to make sure they never made it into cars. Hmm.. I read something about those patents coming due in the next couple years.... thank you oil industry for keeping us enslaved to the almighty inefficient, overly complex ICE power-train(sarcasm). What I like about my EV, every aspect of it, I can repair myself. It is so simple. My maxi-scooter power-train has two moving parts: the throttle and the hub motor; compare that to today's ICE based power-train. I like how the thread started though - about worries of the gas station demise. Funny that would come up now, as just this last month I became aware of how gas stations have faded to black. I don't notice them anymore. I don't look at posted prices or even who is stuck in line waiting to fill up. I had always thought I would enjoy snubbing them while zipping past the stations, but instead they just faded away and are no longer of interest to me. So they pressured GM to not install the new batteries, crush the cars, and soon Texaco/Chevron became the controllers of those nasty new battery patents to make sure they never made it into cars. There is no reasoning with WKTEC believers! If you want to believe in this long debunked myth, join all the others who also believe it. But, think about this. your maxi-scooter, especially if it's a Vectrix VX1 is probably powered by NiMH batteries!If Texaco stopped anyone using NiMH technology, where did Gold Peak get the NiMH batteries? The EV1 could never have succeeded. Would you have paid $130,000 for a little 2 door car, with no air conditioning, no speed, and 12 hour charging? The EV1, was built in response to proposed Californian legislation. That legislation never eventuated. The EV1 was crushed on the advice of GM's lawyers, and in accordance with the advice of three US Federal Departments. By the time the EV1 was released lithium battery technology had already supplanted NiMH as a superior battery for EV's, leaving NiMH for Hybrids. It may surprise you, but I own 38 Vectrix VX1, along with 54 other assorted EV bikes, scooters and EV motorbikes. I glad you love your EV scooter! The Green-left will hate such a development because it will ensure the survival of a peaceful, free enterprise economy. Come here to the USA to see how well a "peaceful, free enterprise economy" works. It is estimated that our "free enterprise" health care system alone causes about 40,000 excess deaths per year. And wait till we get to a REAL free market economy - the abolition of environmental regulations, workplace and consumer safety regulations, an abolition of the already-inadequate minimum wage and the right of workers to organize and collectively bargain. One right that will remain will be the right for the wealthy and powerful to buy and sell our so-called "representatives" and our president in our government. No, I'm not engaging in hyperbole. All these things will be on the table in 2012-2013 especially if any Republican, especially Ron Paul is elected, although Obama will hardly be better. This is already the situation at the state government level in many states. To see the real end-stage of "free markets" just go to any central American country, or Colombia. But of course, as someone who can afford 38 Vectrix VX1's, along with 54 other assorted EV bikes, scooters and EV motorbikes, I'm sure you would love these places. You would probably pitch in money for your local Esquadron de la Muerte, who are so effective in dealing with those union troublemakers. I do, and I cheer when they go up! "The EV1 could never have succeeded. Would you have paid $130,000 for a little 2 door car, with no air conditioning, no speed, and 12 hour charging?" While the EV-1 was only offered for lease at $399 to $549 per month, the suggested retail price of the EV-1 was $34,000. At the median lease price, the total outlay over 8 years would be $45,500, or using present-worth analysis at a nominal interest and inflation rate, a real bargain - I'll let you figure it out. The EV1 was offered as a 'proprietary-retained' lease vehicle only. This is quite usual with experimental vehicles since it removes a lot of the expensive regulations pertaining to vehicle manufacture/sale. The EV1 could never have been purchased at the termination of the lease. The EV-1's price was just a subsidised 'marketing exercise' exercise. The actual cost to GM was in excess of $120,000. No bargain at at all! The EV1 would not have sold in sufficiently significant numbers to have generated a profit. But of course, as someone who can afford 38 Vectrix VX1's, along with 54 other assorted EV bikes, scooters and EV motorbikes, I'm sure you would love these places. You would probably pitch in money for your local Esquadron de la Muerte, who are so effective in dealing with those union troublemakers. The EV's I mentioned, are not toys. I operate a specialist EV rental business. those vehicles are only a part of nearly 480 EV's rented or leased. But, since you mention the cost of EV's, it's estimated that the each Vectrix VX1 cost Vectrix, close to $100,000 by the time of the bankruptcy. Vectrix had it's faults(the NiMH battery as Mik, will explain)but still had a better shot at success than the EV1. I would hate to see all the progress of EV technology abandoned, but I must be realistic, if Cargll can guarantee feedstock supply, EV investment will dry up. You are confusing a personal ideology, with the realities of mass-manufacture. A manufacturer is not in business to achieve a moral or ideological objective, but to produce a product that will generate a profit.Enough profit to attract risk investment. Free Enterprise= Toyota Prius, Nissan Leaf. Socialism = Trabant! Has the EV already become obsolete? You guys sound like you are involved in a new permutation of the forever raging "Wave-particle duality" debate. Marcopolo might now have gotten the "Peak oil" part of the dilemma we are caught up in, but he still fails to see the big picture, i.e. the failing paradigm of infinite growth on a finite planet. If somehow we (as a species and part of the organism Earth) manage to ingeniously work our way out of this dilemma, without loosing the ability to continuously advance the complexity and efficiency of out tools and machines, then I have no doubt that the vehicle of the (near) future will be a hybrid between ICE and EV, similar to, but more refined than diesel-electric locomotives. These hybrids will have much better acceleration and handling than either of those "either-or" options. Their emissions will also be lower than currently available ICE vehicles or long-tail-pipe-EV's. A) An ICE, tuned to most efficiently extract energy from carbon-based fuel (using oxygen from the atmosphere as the other important ingredient) at a constant rate/speed/rpm, matched to the average energy need during driving. This "torque-generator" would be either on or off, but always running at the most efficient (=least polluting) speed. B) An energy storage system that can accept and release just enough energy to allow brutal acceleration and deceleration occasionally, e.g. accelerate from 100km/h to 300km/h in 10sec, or to climb the highest mountain commonly encountered where the vehicle is to be used. Once this storage system is empty, the hill climbing (and acceleration) would be reduced to what the ICE produces at it's single-running-speed, probably allowing to climb most steep hills at 20km/h and to accelerate from 0km/h to 110km/h (=max) in 35sec. C) An electric motor (?in each wheel?) able to deliver such power / regen currents. That is what everyone said in 1903 when electric cars outnumbered the ICE vehicles. Sure enough, they declined and died out, only to come back briefly every 20 years or so. It is as simple as this: Electricity can come from MANY different places. Petro-fuels come from one. (two if you consider distilling food crops). The next pollution source needing tackled is all of the used, powdered tire rubber laying around. It is almost as bad as human skin cells inside your home. 1930 Ford Model A Speedster, AC50-direct coupled powerglide,130AH CALB, 6.13 gears, hand made everything. i.e. the failing paradigm of infinite growth on a finite planet. Mik, Love your ideas! However,infinite growth of human wealth, doesn't necessarily mean a greater consumption of the planets resources in the sense of exponential consumption. In 1890, the richest individuals and industries on the planet, were created vast vast consumption of material resources. By 1990, the richest industries and individuals, were new industries, using relatively small amounts of resources, but vast creative intelligence. The movie/tv/video game industry, internet, mobile phone and communications. As civilisations advance, intellectual, creative take precedence. Yet these assets only exist man's perception! Take art, a single painting can be valued at $100 million, but in reality it's just some old paint, and a small piece of cheap cloth! The development of technology, is driven by only two factors. Necessity and profit. Both need to attract investment. No investment, no technology! If Virent/Shell/Honda are right, and Cargill can solve the feedstock dynamic, that will end the necessity, and with it, the investment funding EV's need to develop! Actually, socialistic government corporate average fuel economy regulations, or outside the USA, socialistic minimum fuel economy standards and very high, socialistic taxes on gasoline, drove the development of the Prius or Nissan Leaf. Every single safety, pollution emissions, fuel economy (and indirectly, reliability)improvements on cars were driven by socialistic government regulations and/or fuel taxes. If we relied on so called "free markets" cars would still have unreliable point-and-condenser ignitions and steering columns that impaled the driver on a crash today. "If we relied on so called "free markets" cars would still have unreliable point-and-condenser ignitions and steering columns that impaled the driver on a crash today." Given the expense of service ,,, and the entitlement nature of some drivers That might not be a bad thing. [quote[Free Enterprise= Toyota Prius, Nissan Leaf. Socialism = TrabantActually, socialistic government corporate average fuel economy regulations, or outside the USA, socialistic minimum fuel economy standards and very high, socialistic taxes on gasoline, drove the development of the Prius or Nissan Leaf.Every single safety, pollution emissions, fuel economy (and indirectly, reliability)improvements on cars were driven by socialistic government regulations and/or fuel taxes. If we relied on so called "free markets" cars would still have unreliable point-and-condenser ignitions and steering columns that impaled the driver on a crash today. It depends on what you mean by socialist. Since the collapse of all economies, but free Enterprise economies, the definition of socialism seems to have changed. Unlike Socialism, free enterprise economies cannot be defined by a rigid ideology. The old concept of socialism, seems to have redefined itself into what used to be called liberalism. IMO, the best method of description of a free enterprise economic system, is an economic system where citizens create wealth through through free trade, commerce, private capital, etc and pay for the provision of independent regulatory and government services. Public (or Government) services are essential to maintain a social environment for free enterprise to prosper. Thus the old adage, "a business has three partners. risk capital,risk labour, and the tax-man!" When any of these three pillars abrogate responsibility, like any partnership, all the participants suffer. How much citizens are willing to pay for effective social infrastructure, is in accordance with the astuteness and willingness of the citizens to invest in the quality of their society. The best example of a capitalist, free enterprise society, is Switzerland. The citizens (both private and corporate) of this small nation, manage their affairs so competently, that the Swiss enjoy the highest level of social services in the world, a harmonious society, along with a strong private sector. But, perhaps you could detail for me the advanced safety features on a Trabant, Zil, Skoda etc? You should study the features that Ford tried to introduce in 1957! None of this changes the reality, that without investment, EV development will cease. If, and it's a big if, Virent/Shell/Honda/Cargill are correct, the motivation for EV investment will disappear. Government incentives will dissolve. Public demand will evaporate. Once again the EV industry will retreat back to small specialist applications. Isn't this what usenet is for? I'm ignoring this thread from now on, as I'm too familiar with this kind of "conversation." "I reflected on the important economic and social contribution the owner of the service station/mechanical repair business, (and his five employees), made to the life of this small community. The adoption of long range EV’s would see this service station, and its repair/small engineering business extinct. Just one more nail in the coffin of the viability of a small rural community. As a long term advocate and investor in EV technology, I can’t help feeling responsible for contributing to the demise of these struggling rural communities, and accelerating the drift to the cities." I wouldn't worry about it. In a world of increasing population, all those small rural communities with an agricultural focus might do quite well. That business might not be repairing as many gas cars, and electrics many need less work, but other changes may create more work. In order to ramp up food production per unit of land we might have more greenhouses and more labour intensive vegetable production. Perhaps your business continues but not as a service station, but specializing in building green houses, servicing irrigation systems, keeping the EV solar tractors running (yes there are such things) etc. Sustaining and increasing food production will provide lots of work in rural areas...its actually the cities that I worry about. Some cities will have to shrink. Their reason for existence is not what it once was. It's already happening in Detroit, while some small agricultural towns are doing just fine with current commodity prices. The old adage "Adapt and survive." Still applies. The station owner only needs to include employee training for EV's. Monthly servicing of batteries, top charging/bottom charging (cell equalizing), Checking for loose terminals, tire pressures, ETC to Infinity>>>>>>>Add EV Services to your list of operations. I'm not sure that charging for checking air tyre are pressure would be very lucrative! (and the rest sort of negates the EV reputation for low maintenance. However, more importantly, the US military has just announced a further $550 million to be spent encouraging the development of catalytic bio-fuels. BP, have suddenly dusted off their marine bio-fuel process, and invested $300million into R&D.Chevron/Nestles, have formed a bio-fuel feedstock venture, with a rumoured budget of $20 billion (over 5 years)based on the Virent catalytic conversion principle. These huge corporate giants,and government agencies, are investing enormous resources, far, far greater than the EV industry could ever hope to attract. Am I the only one alarmed for the future of EV technology? should be accepted. (until evidence to the contrary). Can you show me your source of information? I very much doubt they claim "doesn't create pollution". At best I can imagine it might be classified as a ULEV (ultra-low emissions vehicle). While "ultra-low" sounds good - it's a relative term and relates to the gross level of pollutions before emissions control regulations were introduced. Even if it's a ZEV (zero emissions vehicle) then one will get back to the debate of "well-to-wheel" emissions impact (I find the whole "well to wheel" arguments tedious and not well understood (because it's vastly complicated to try and get any real accuracy)). OK, *if* (and it's a big if) Virent's new fuel is all you and they say it is - then what will happen to the oil industry? (Just curious). I agree with most of your logic (but I'd see it as a reduction, not elimination) - we need the major manufacturers because it gives the battery companies a reason for massive investment a potential gold mine. I don't have much of an opinion other than a large dose of skepticism for this Virent bio-gasoline. And I *still* say that a mixed fleet is the answer. 'lectric for local, diesel for distance. (courtesy of T from Amp Bros!). Now, the diesel part fits nicely for alliteration - but also from the perspective that diesel engines operate more efficiently than gasoline engines. So even if we go for a bio based fuel I still think we should be using it as efficiently as possible. Shell & Honda. But that's not the discussion we're having. More seriously, I think the issue I see with your argument is the "absoluteness" of it. You take it to the extreme that we have zero investment & zero EVs (discounting the minute percentage of hobbyists). EVs really do have advantages for a vast number of real world use cases. I still firmly believe it will be a mixed fleet - and the "best" products will win. "best" is subjective to the purchaser. "best" for several million Chinese has proved to be the (lower powered) e-scooter. "best" for several million Westerners are higher powered gas scooters. It doesn't take too big a leap to imagine that a higher powered electric scooter would be good for several million Westerners. Now, that's not saying that we're replacing the entire personal transportation fleet - but a million more EVs on the road seems like a worthwhile change.